Of all the rarities on Earth the most eye-catching and unique are pallasites. These extra-terrestrial gemstones mirror the stellar beauty of the cosmos. 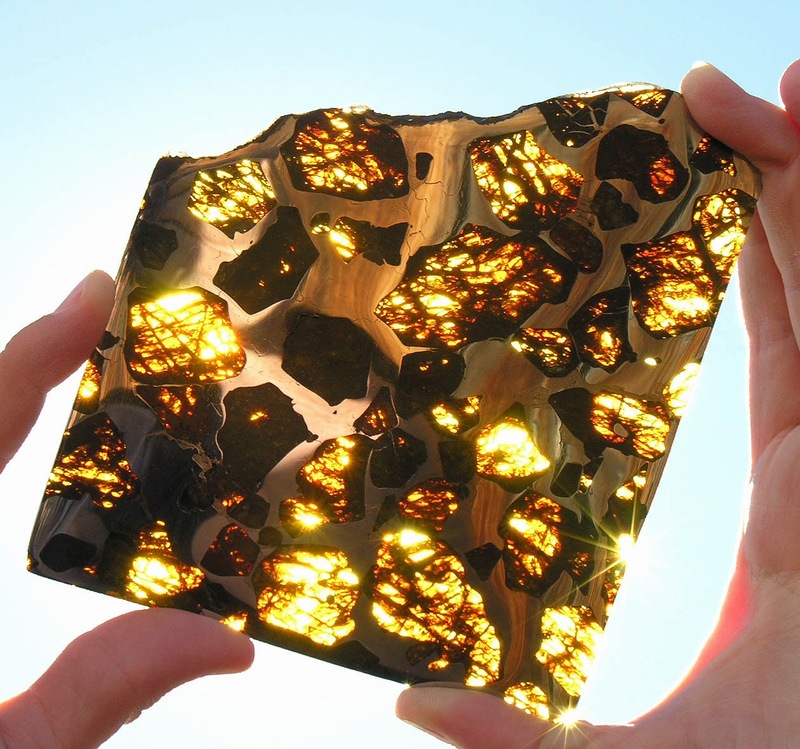 The Fukang Pallasite is a specimen that clearly out shines all meteorites of its class. World renown as the most spectacular example of natural cosmic splendor, the Fukang pallasite will undoubtedly become one of the greatest meteorite discoveries of the 21st century. This awe-inspiring main mass weighs over 925 pounds (over 420 kilograms). The Fukang pallasite displays celestial yellow-green olivine crystals in an illustrious nickel-iron matrix. Backlit slices from the Fukang mass are reminiscent of stained glass windows crafted in the ancient solar system. Pallasites are extremely rare even among meteorites (only about 1% of all meteorites are this type) and of the meteorites they are, by far, the most alluring. These stellar gemstones are composed of about 50% olivine (peridot), 50% nickel-iron and 100% breathtaking beauty. These awesome treasures are thought to be relics of forming planets. The is the "main mass" which means it is the largest surviving portion of the only Fukang specimen recovered. It displays, to our knowledge, the largest cross section of this kind of material on earth. Its 36 x 19-inch polished face provides a window into its wondrous mosaic of extraterrestrial crystals. This unparalleled discovery is an astounding treasure — a phenomenal and prestigious centerpiece for any natural history exhibit.